We are sad to report that a young and vibrant beautiful final year student of the famous Ebonyi State University (EBSU), belonging to the department of Sociology gave up the ghost while she was asleep. According to multiple reports from well known news portals, the beautiful soul identified as Doris Chinaza Edeh , reportedly died in her sleep last night. 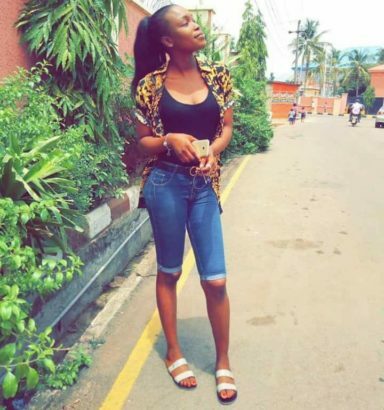 The final year student’s death came as a shock to everyone this morning, as it was further gathered that her corpse has already been deposited at the Federal Medical Centre’s morgue. 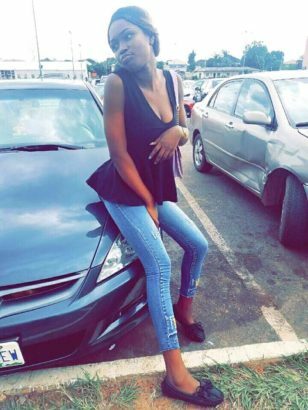 Before her death, sources claimed she stayed at Emmanuel Lodge hostel Ishieke, Ebonyi state. Friends of the deceased are already penning down tributes to her on social media. 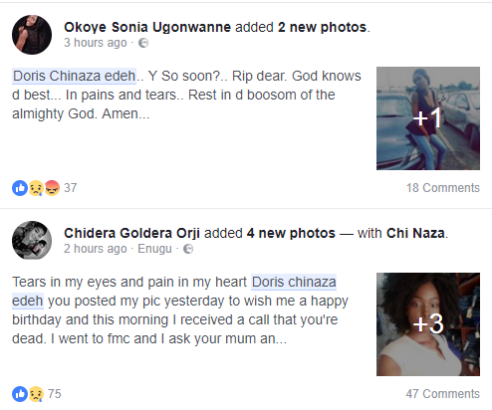 Tears in my eyes and pain in my heart Doris chinaza edeh you posted my pic yesterday to wish me a happy birthday and this morning I received a call that you’re dead. I went to fmc and I ask your mum and she said it’s true I also saw you lying helplessly. Doris edeh your mum said that you didn’t keep all the promises you made. I’m still in shock Rest in peace dordor nwanyi oma as I always call you Rest in peace my sister and my friend I will forever love and miss you. I love you so much, soc 2014 session miss you. 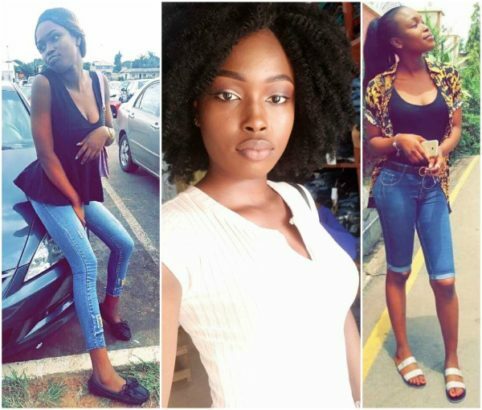 This report of Doris’ death is coming few months, after Chinedu Linus, a final year student of Ebonyi State University (EBSU) was killed after he confronted some gunmen. We pray may her gentle soul rest in Peace Amen.